I Grieve, You Grieve, We All Grieve for Arsenal. It’s been quite a journey, this Gooner journey through the Kubler-Ross stages of GRIEF. First there was DENIAL – an inability, or unwillingness, to accept that there was something rotten in the state of Arsenal. Wenger had gutted his Invincibles, ruthlessly ridding himself of his stars for top dollar to finance the new stadium -and we were witnessing the (false) dawn of his ‘youth project’. Punching above its weight in an increasingly competitive and financially skewed league, Arsenal entered the ‘4th Place Is A Trophy’ stage – where the Club had convinced itself that a ticket to Europe’s top buffet was sufficient, even if we never got to actually eat. The youth project collapsed, and we began our (mis)adventures in mediocrity – settling for players who wouldn’t have made the reserve bench during the Glory Days a few years prior. The occasional star rose through the ranks, but no sooner did they reach their potential than they were whisked away by the lure of fortune and fame. We became a selling club; we lost our mojo, our sheen of invincibility. The media had a field day tearing holes in the facade that the Club was presenting to explain its apparent lack of ambition; Arsenal became synonymous with being perpetual ‘almost-rans’, ever the bridesmaid, wallflowers at the ball. And Wenger became the Specialist in Failure. The Wenger Out Brigade was taking shape: canaries in the coal mine, who first seemed to cotton on to the fact that the Club – with its absentee owner, its ineffective CEO, and its extraordinarily powerful manager – was becoming too comfortable with its position on the top ladder’s lowest rung. 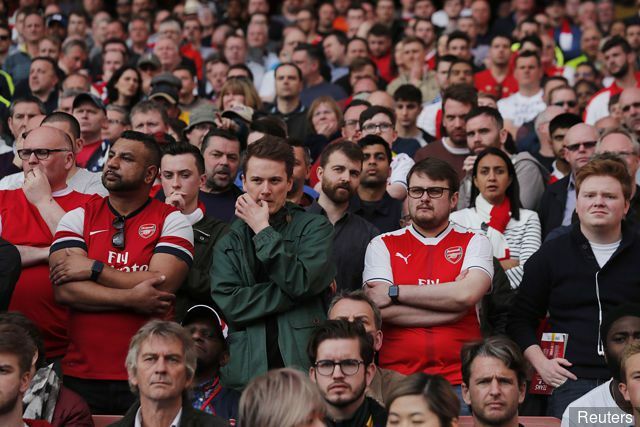 Unfortunately, the mere notion of discontent – let alone the nature of its expression – put even the most reluctant Wenger supporters’ backs up. Preferring a more civil form of protest – one that was more focussed than booing on Matchday, and that didn’t include slander and invective towards our gentlemanly manager – I directed my growing anger towards the Wenger-Out faction, lamenting its lack of class and the toxicity it was introducing to the Gooner Experience. The serendipitous signings of Madrid and Barcelona rejects Özil and Sanchez were enough to postpone Judgment Day further, and Arséne “Judge Me In May” Wenger pulled a couple more FA Cups out of his magic May hat, securing him a new 2-year contract despite our dismal 2016/17 season, which saw our first finish outside of the top 4 and an end to our (pathetic) Champions League football forays. A shocking start to the current season, a toxic Emptirates®™ Stadium, shoddiness on the pitch, friction between players, early dismissal from our beloved FA Cup Competition and DEPRESSION set in. The Wenger Out faction was now in the majority – and social media had become pure poison. There was little joy to be had as a Gooner: celebration of victory was short-lived, each new defeat amplified the anger and vitriol. Even the most loyal Wenger supporters were finding themselves uttering the unimaginable: that Wenger was no longer the right person to manage Arsenal Football Club. Arsenal is becoming a mid-table club – losing ground rapidly to Liverpool and Spurs, with their vibrant new managers and their lively, eye-catching football. Even United appear to have lifted themselves out of their post-Fergy 6th-place doldrums. Chelsea may be struggling – but that provides no real shadenfreudic delight because I feel numb. Not even the new signings of Lacazette, Aubameyang and Mkhitaryan could kickstart me out of my state of sceptical misery: the deficits of Sanchez, Giroud, Walcott and Oxlade-Chamberlain negated the gains. Especially considering the fact that very few of our truly talented players seemed to improve under Wenger’s tutelage. Even in the darkest days I used to take comfort in the fact that we occasionally showed flashes of brilliance, played beautiful football – Wengerball. However we now play a style of football that is so bland, toothless and predictable, that the Matchday experience is rarely enjoyable. I used to approach games with eager expectation. That turned to trepidation – which was still better than what I feel now: a sad resignation. I guess I have reached that final stage of the journey: ACCEPTANCE. I think it’s fair to say that most Gooners are on a similar journey – some may have reached this destination before me – others may still be going through those draining emotions. You can see it in their faces, when the TV cameras pan across the Emirates crowd. I’m grieving the state of my Club. 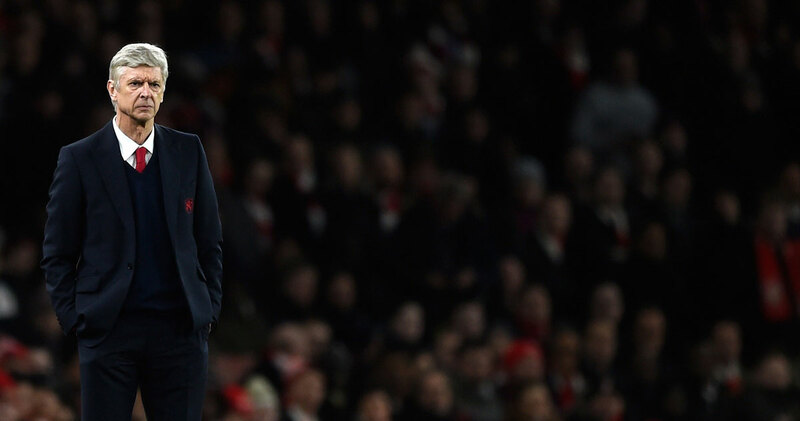 I know in my heart of hearts that unless we get a new Manager to shock Arsenal into life – to inject it with new energy, give it back its mojo, its belief, its desire – we will undo all the great achievements of Arsenal’s greatest modern manager. We will have a magnificent but empty stadium; players that use us a stepping stone to bigger clubs. We will have to watch while the other ‘top clubs’ go from strength to strength, actually competing on Europe’s biggest stage, all the while playing thrilling football, and snapping up the best talent on offer. We’ll have to look behind us – as the mid-table clubs strengthen: Burnley, Everton, Leicester, already breathing down our necks, desperate for European football. And as we slip further behind, it will become harder and harder to catch up. It’s the football equivalent of Moore’s Law: we’ll have less income, be less attractive, and our chances of success will become exponentially lower. Until things change, I fear that I will be living this life of Arsenal limbo forever: punch-drunk, dazed, disengaged and unimpressable. I’d love to say that I am hopeful that we can win the Europa League Plate – sneak in through the backdoor and once more chew the fat where the in-crowd chew – but I’m not. I think we may come close – perhaps even reach the Final in Lyon, come May. However, once there, I don’t think Arsenal will miss the opportunity to be the glorious failure I suspect we have become. For those of you interested in the Kubler-Ross Model referenced in this post, here is an actionable guide on the K-R Change Curve that throws great light on the subject from the awesome people at Cleverism. 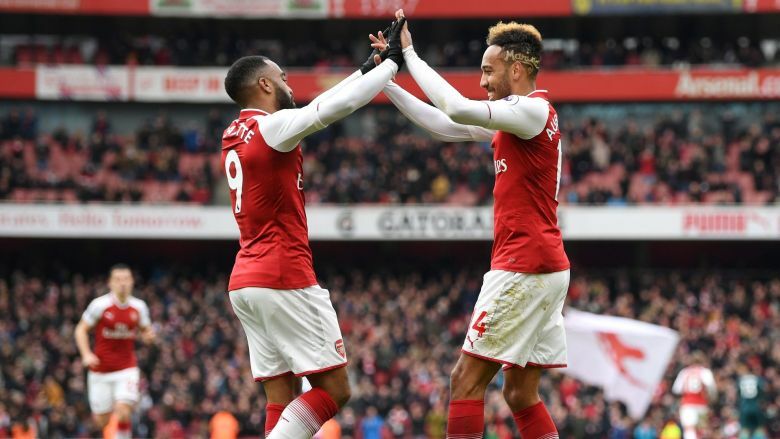 Free Scoring, Attack Minded Gunners: Are We Seeing a Return to Good Old Arsenal? 2 Responses to I Grieve, You Grieve, We All Grieve for Arsenal. well said. 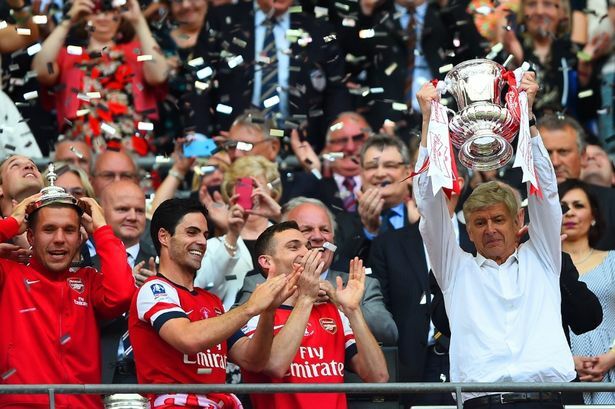 wenger has taken all the joy out of watching arsenal. seeing a team underachieve consistently and knowing nothing will change has become depressing. haven’t had any anxiety during a match in about 2 years because my expectations are for us to fail in every big moment. i used to spend a significant amount of time, energy, and money on arsenal but now it is very little. why give something to a club that gives nothing in return? wenger is a true fraud, that’s really all you can say at this point. Invinciblog, am glad you wrote this article because if I had done it It would be called “another of Victor`s rants”. In fairness, that is one of the peril`s of trying to write a reasoned criticism of Wenger and kroenke etc. If it helps your mood, I find your article accurate and without doubt thousands of Gooners are feeling exactly as you do.